RE: WHY WE HAVE CHOSEN DISTINGUISHED SENATOR JOHN OWAN ENOH AS OUR NEXT GOVERNOR 2019. On behalf of thousands of Cross Riverians, whose dream of a better Cross River State, you have brutally raped and bastardized, I write you this letter, to inform you of our unalloyed and unflinching resolution to make Distinguished Senator John Owan Enoh, our next Governor come 2019. Your Excellency Sir, our unanimous decision is predicated on the following premises and obvious reasons. 1. That you Sen. (Prof) Ben Ayade has failed woefully in delivering your campaign Manifesto. Recall, that you promised to INDUSTRIALIZE Cross River State. 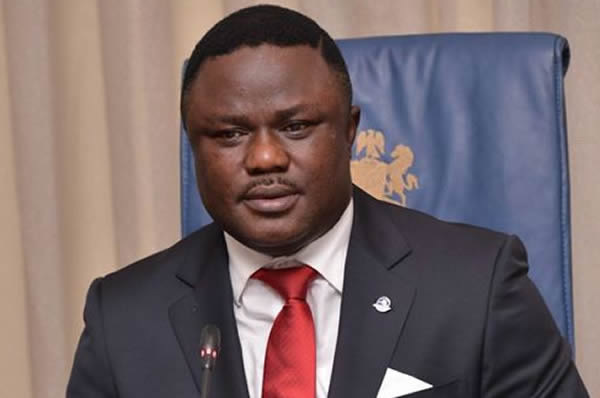 Rather than industrializing the state, you have succeeded in chasing out many companies out of Cross River State with your poor governmental policies aimed at emasculating and enervating companies within the State. Today, the few companies left are crying over high taxation and lack of governmental synergy. 2. Your Excellency, Recall, that you promised to make SECURITY one of your topmost priority. It has become mind blowing and excruciatingly ridiculous that Cross River State that was once known for the peaceful and serene environment it offers, have ingloriously become a theatre for Cultism, Banditry and Kidnapping. It is on record, that your administration witnessed the highest number of Killings involving Cultism, and kidnapping of mostly Medical Practitioners. 3. Your Excellency, you promised to DIGITALIZE your administration and launch Cross River state into the realm of globalisation. Disappointedly, you have only succeeded in teaching us how to use the Media to deceive the populace. Your Excellency, where is the Calabar Seaport you promised? Where is the Super-Duper Highway you promised? Where is the Spaghetti Fly Over you promised to construct at ODUKPANI JUNCTION? Funny enough, your Excellency, you have succeeded in completing these white Elephant projects only on the pages of Newspapers, Gigantic BillBoards, Media, Posters etc. 4. Your Excellency, you promised to revamp the Agricultural Sector, rather than keeping to your promise, you have chosen to play politics with the agricultural sector using Calabar Rice Farm and Ikom Cocoa Farm as a case study. Your Excellency, we cannot be cowed by such political jiggery-pokery. We know the truth about the aforementioned agricultural project. 5. Your Excellency, what has happened to the Educational Sector? Hope you have visited the State Library? What has happened to Tourism in the state? Hope you have been to Marina Resort, Tinapa and Obudu Cattle Ranch? Your Excellency, what has happened to our Roads? Hope you are aware that Calabar will soon enter the Guiness Book of Records, as the Capital of a state with the highest number of "POTHOLES" on it's road. Your Excellency, I wish to continue this endless litany of the "Too Many Promises" you failed to keep but then it is too late to cry, hence we have chosen a Man with an Impeccable pedigree. A man that understands the language of the common Cross Riverians. A man with an intimidating achievement. We have chosen DISTINGUISHED SENATOR JOHN OWAN ENOH. We have chosen a man that understands the need of Cross River State not a "Shaku Shaku Dancing" Governor. We have chosen a man that speaks the language of a common man not a man that speaks the language of " BUDGET OF KINETIC CRYSTALLIZATION"
Your Excellency, we are very much aware that this decision of ours will hurt you greatly but it has become unavoidably sacrosanct and expedient we do so, with the sole aim of RESTORING, REVAMPING, RESTRUCTURING AND REBUILDING CROSS RIVER STATE. Forgive Us for choosing this noble pathway of saving our dear state from imminent collapse. Posterity will never forgive us, if we don't do the necessary to salvage Cross River State from the Cesspit and Cesspool of Sociopolitical and Economic somnambulism. We hope that this letter gets to you and meets you well. Thanks In Anticipation of your Handover Speech come 2019. Yours In service of Humanity.